If you want to turn your backyard into a beautiful and practical outdoor area, a great idea would be to choose several projects appropriate for your patio. Keeping in mind that the quality of any DIY project depends on how much money and effort you want to put into, here are some simple projects you can opt for. 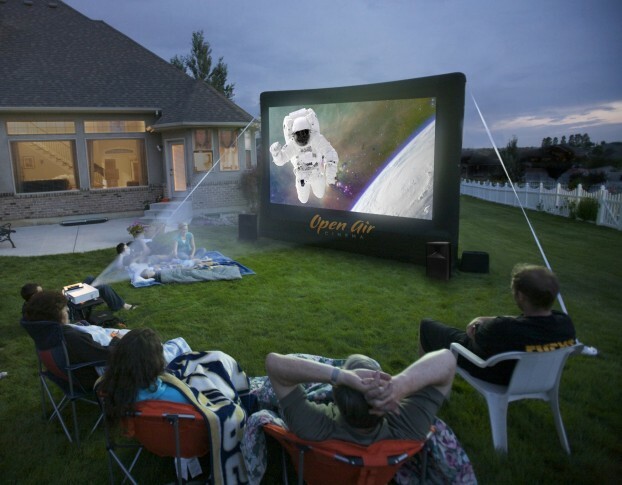 A backyard home theater is one of the most original ideas you can get. Some things you need in order to build an outdoor home theater are a screen, projector, computer or DVD player, and sound system. If you’re looking for affordable components, you can get a simple, white fabric and turn it into a screen; buy a used projector and computer; and use the sound system you have in your home. After setting everything up, it’s time to get a few comfy chairs, invite your friends over, and enjoy your first outdoor movie. If you wish to embellish your backyard, take the time to create a raised garden bed next to the outdoor home theater. More customizable than a traditional flat garden, a raised garden bed can be built with several wood pots, screws, and PVC pipes. As soon as you build this addition, look for weather-resistant flower combinations and plant them to beautify the entire area. A fire pit is a wonderful and useful add-on especially during cooler evenings. To construct a fire pit, you can use concrete or scrap materials, which will make your project affordable. For a really stylish ambiance, opt for natural stones or decorative combinations to face the fire pit, such as stucco, granite, marble, and ceramic tiles. The next best thing you can build to upgrade your backyard is a small fountain. Made of stones, a small fountain can bring life and motion to your backyard with its soft splash that attracts more birds than still water. By building a rock wall and complementing it with fabric shades, you can create a cozy poolside lounge that provides the much-needed respite from the sun during the hottest days. You can also choose various lush plants, such as candelilla, verbena, and Euphorbia rigida, to soften the ambiance. Complementing the corner of your backyard with a grilling station is one of the best alternatives if you want to serve steaks, burgers, and veggies during the summer. Make sure that this station includes all the necessary tools you need to cook delicious meals. Today, you can find a wide variety of swings to complement your patio. However, if you intend to get a really original piece, you can look for DIY projects and build one yourself. If you’re not crafty enough, search for a carpenter who can build the swing you want. Another wonderful idea is to opt for an outdoor bar cart that you can move around the backyard. This mobile beverage station allows you to keep a variety of drinks outside so you don’t have to run back and forth every time someone requires a drink. Besides these, you can complement your backyard with an arbor bench, a tool shed, a sitting wall, a potting or a planter bench, and a trellis panel. Tony is a home improvement enthusiast and likes to share project ideas with readers in order to inspire them to start their own projects.